Sunday night saw The Strain, from Guillermo del Toro, return for it second season and to be honest, it was a refreshing sense of pace and feel to have something other than a game show, reality TV or cop procedural rear its head. And not to mention that yes, it's a vampire kind of series, but done so differently that it is refreshing. In a dark way. And yes, that IS another actor in that role. 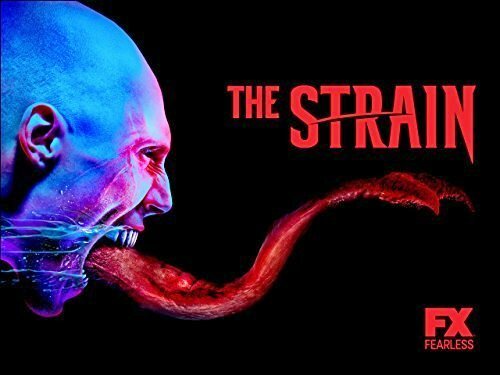 The Strain stars Corey Stoll as Dr. Ephraim Goodweather (Eph), along with David Bradley, Mia Maestro, Kevin Durand (I like this guy), Jonathan Hyde, Richard Sammel, and Max Charles as Eph's son, Zach. Wait... what??? Yes, that is a different actor playing Zach Goodweather. Last year the role was played by Ben Hyland. Turns out that the producers wanted a new actor for the role because they have plans for Zach, and I believe this other, new kid has more experience. That bites! (Oh crap, no pun intended.) But last year Zach was more quiet about things while this one episode the kid had more angst than in the entire season last year! The episode opens to our heroes chasing 'The Master' out of one of his hiding spots. Setrakian was just about to do him in, but he had to stop to voice his victory and gloat. WHY? I mean, I know gloating is a common tool used by 'Hollywood' to make things happen that would otherwise not happen, but WHY??? You almost had the freak, but nooo, Setrakian had to gloat, giving The Master time to get away. We watched Setrakian also get "kidnapped" by Vaughn, meet the elders of the vampire world... or strigoi and he makes a tense deal with them. The gang go looking for something the old man wants, they find themselves some goodies in a storage unit of the old man's. We have flashbacks explaining who or what 'The Master' is/was, which if I am not mistaken, was not in the book. BUT I could be wrong there. Then again, the show is veering off from the books so we have a whole new kind of story coming at us. We also watch Eph's vampiric wife, Kelly, be given a new small army and she is being sikked on Eph. (She needs a new hairdo) Her army of helpers are going to be very creepy this season. I still truly love how they've made this kind of vampirism into a true disease. It's unique and I appreciate that. I liked the pace of the season two premiere and according to sources, after the slow burn of the first season, which was setting up a lot of details, we're done slow burning. Now we're in after-burners and getting on with it. A little more action mixed into something from del Toro can't be bad at all. But what's coming up this season? Eph will be drinking again, while his new main weapon, he hopes, will be the pathology of the vamps. If you didn't catch it in the s2 premiere, Eph will be crossing ethical medical boundaries to achieve his goal. I mean, how can you not when it comes to vampires. I have a new crush... Palmer's new assistant, Coco, played by Lizzie Brochere. We'll be seeing Gus still standing apart from the team, but he teams up with Angel. Be prepared. Remember I said I don't remember something from the books? Well, according to sources, the story will be about 20% faithful to the books. Hmm. We will be seeing this 'infection' spread beyond New York. I did not get the feel that New York has fallen to the infection yet, but I think that's where it's headed. OK, having read the books, I know exactly where it should head. If they haven't changed that much of the story. 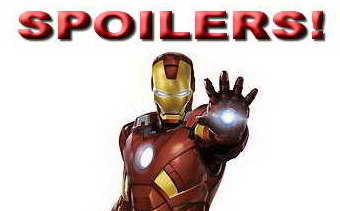 Sources for non-episodic information: Collider, Zap2it.